I’m currently moving to London, so packing many stuff at the moment. 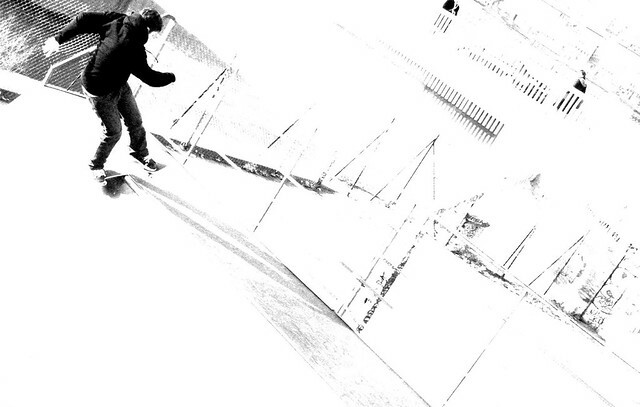 And I found these old pictures of some people skateboarding in Lyon. I like the parallel feeling between catwalks and skateboarding. While you do your tricks, there’s only one key thing: balance with space and movements. Like in a catwalk. While you do your show, as you go fast, you become a silhouette more than a human being; basically you become an idea, like in a fashion show. I also like the fact that a skatebording run does not last very long, but that you can talk about a good performance for ages. Like in Fashion.